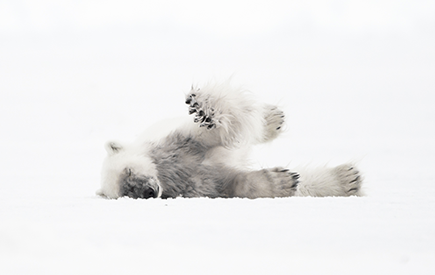 Over the last few years, ArcticNet has maintained a collection of photographs highlighting the spectacular beauty of the polar regions, and featuring the scientific research, landscapes, wildlife, and northern communities. 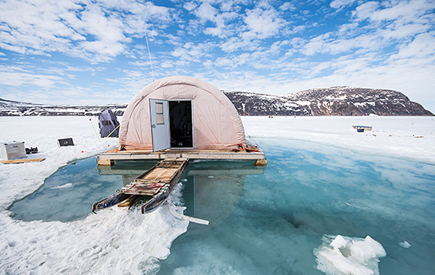 With a growing collection of stunning images, the ArcticNetâ€™s Polar Photography gallery is now a resource for educational, media and other research programs. 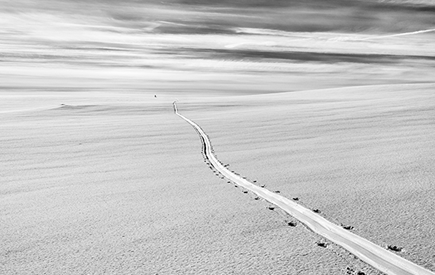 It is committed to communicating Arctic and Antarctic knowledge to a diverse international audience and to preserving a legacy of iconic and accessible imagery for future generations. Photos from the gallery have been featured in prominent national and international print and electronic media publications, including The Gazette Ottawa Life, Globe and Mail, UpHere, Above & Beyond, Canadian Geographic, Time Magazine, GEO Magazine, Washington Post, Le Monde and Al Jazeera. The International Arctic Change 2017 Photo Contest is a fantastic opportunity for Arctic researchers, students, partners and collaborators to share their dynamic and eye-catching photos of the circum-Arctic, its peoples, communities, landscapes, wildlife and research activities. Over $1000 CAD in cash prizes will be awarded. 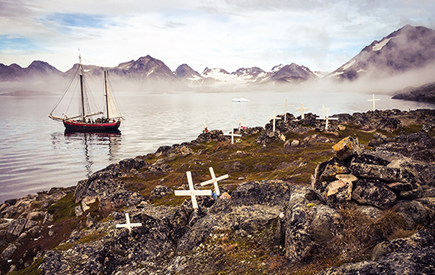 We would like to congratulate the winners of the 2017 Arctic Change Photo Contest. Caption: Polar Bear on the sea ice. Caption: Morning mist surrounding the island of Kulusuk. Caption: Who will be the first to get out of the water? 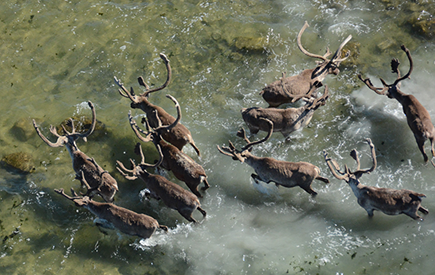 Caption: Formation de mare de fonte autour du camp de glace, GreenEdge. 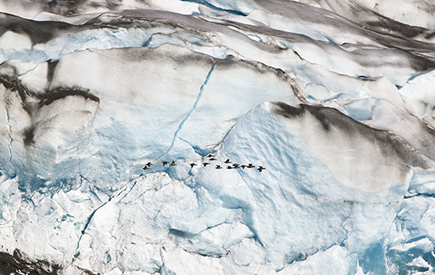 Caption: A flock of female Eider ducks fly in front of the terminus of a glacier. Caption: Snow and Sky in the Arctic Sweden.